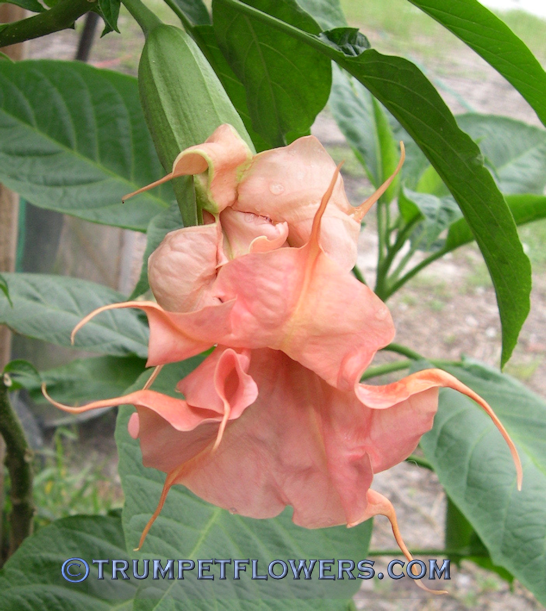 Pink Catalonia almost always shows the odd and unusual blooms. 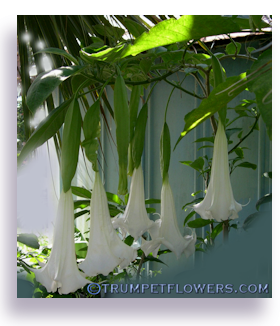 This is why I like her so much. 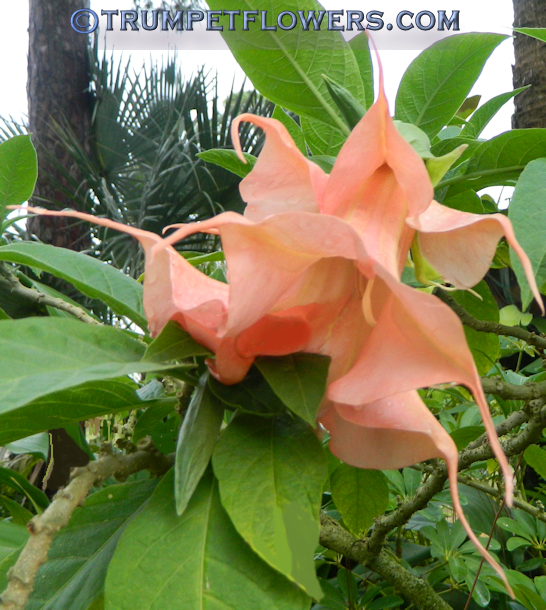 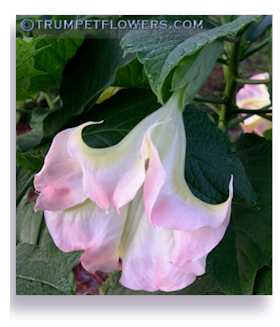 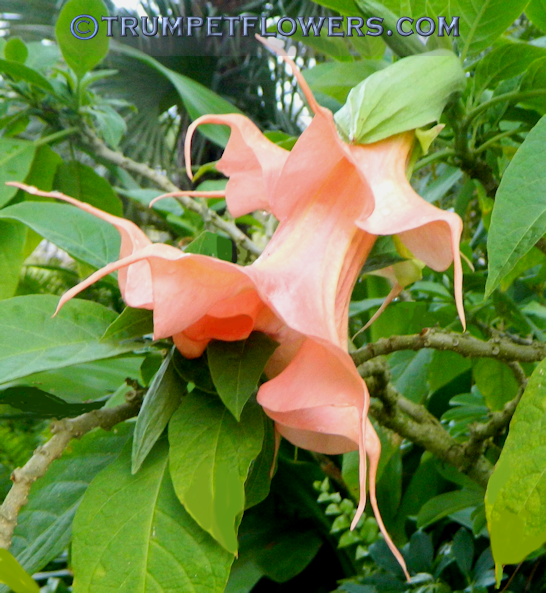 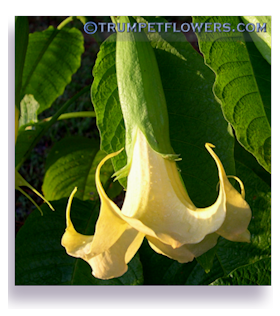 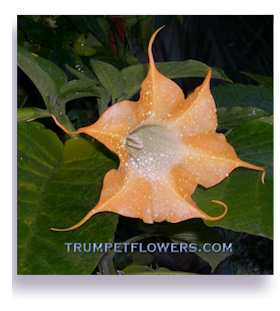 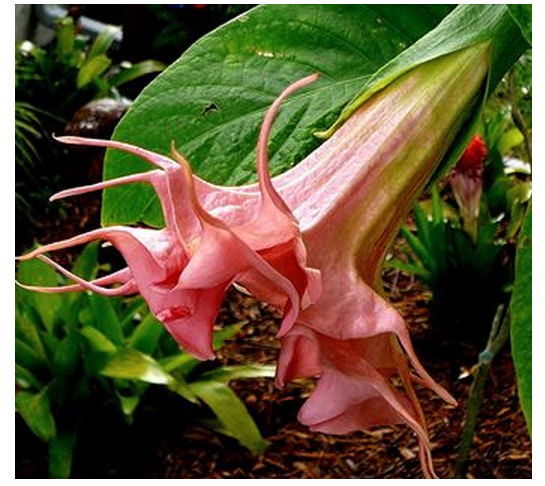 Brugmansia Pink Catalonia has opened in a lovely strange style in this photo. 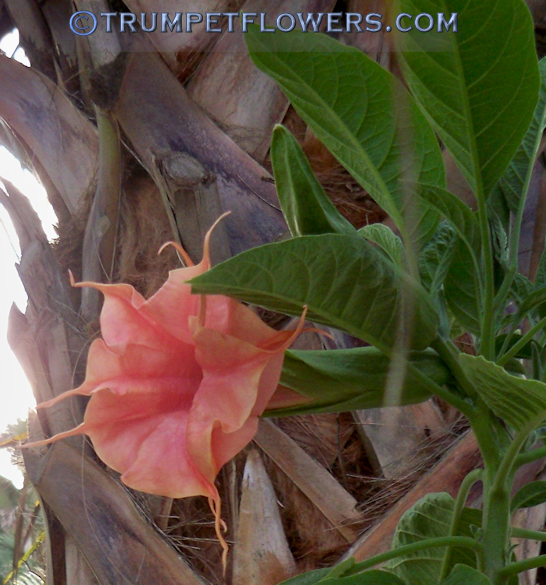 Another angle of the same bloom, both shots taken on March 6th, 2014. 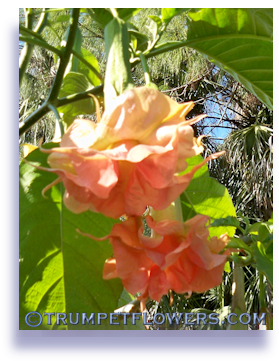 All 4 above photos were taken by my husband, who is better at photography than I am. 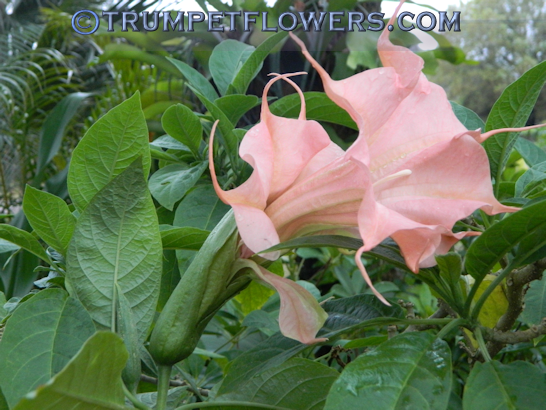 Pink Catalonia showing me the softest of blooms this cheery April morning. 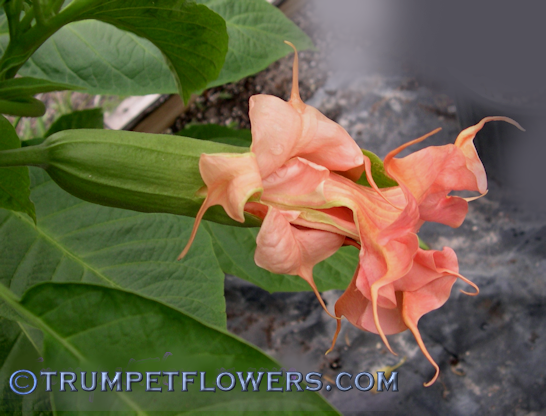 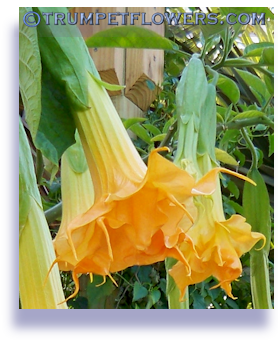 Brugmansia Catalonia (pink) is a shredded type brugmansia, no two flowers are ever alike. 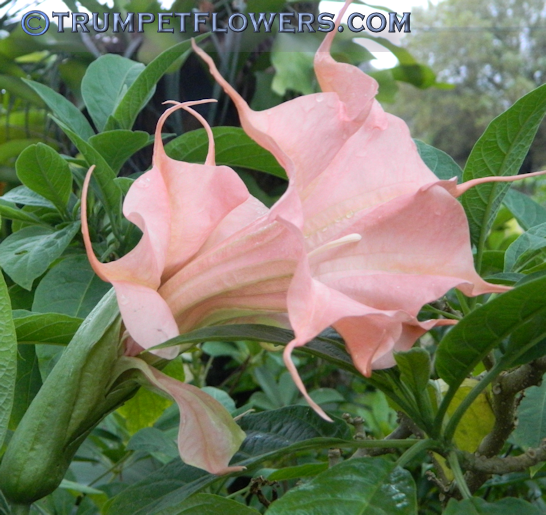 Pink Catalonia brugmansia was made by the creator of Catalonia, Mike Usina. 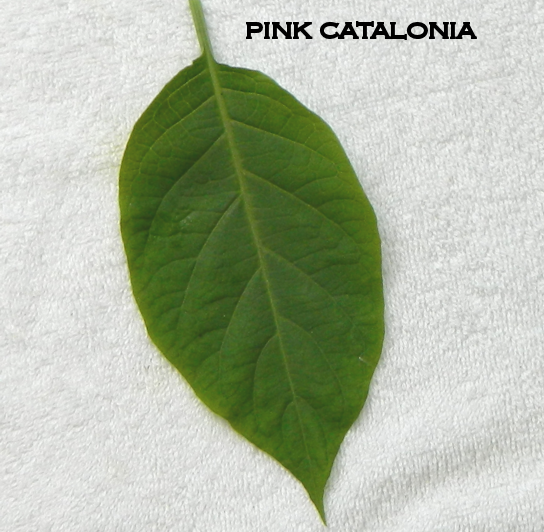 The leaf of Pink Catalonia brugmnasia is slightly leathery to the touch, and large, bright to deep green.